Of the music that Aram Khachaturian wrote in 1941 for the play ‘Masquerade’, I’m only familiar with the waltz. I particularly like the ominous tone that’s woven into the music; it hints at what’s to come, which, in my opinion, fits perfectly with the idea of a masquerade, where things are not usually what they seem. 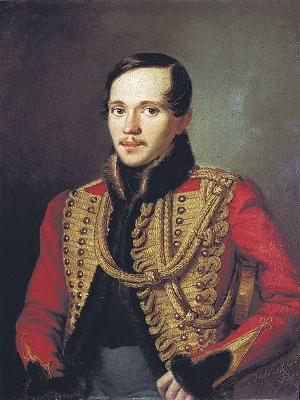 The original play was written in 1835 by Mikhail Lermontov. Based on a real incident, it’s set in the aristocratic society of 1830s St Petersburg. The play opens with Prince Zvezdich losing everything in a card game, but his losses are recouped by Arbenin, a wealthy, middle-aged man who gives the money back to Zvezdich. Both men then make their way to a masquerade ball. Arbenin’s wife, Nina, is already there, along with her friend, a baroness. The prince flirts with the baroness who, taken with the mysterious man – being a masquerade, everyone’s wearing masks – gives him her bracelet as a memento, a bracelet that Nina had given the baroness. Later, Arbenin notices Nina no longer has the bracelet. He remembers having seen the prince with it and mistakenly concludes that his wife has been unfaithful to him. Nina goes to the baroness’ home, seeking an explanation about the bracelet she’d given the baroness. Instead, she meets the prince who becomes convinced that Nina did indeed give him the bracelet. To make matters worse, the baroness, who is in love with the prince, decides to spread rumours that Zvezdich and Nina are lovers. It doesn’t take long for gossip of Nina’s supposed infidelity to reach Arbenin. Furious, he plans his revenge. Meanwhile, the baroness decides to confess to Zvezdich that it was she who had given him the bracelet at the ball, and not Nina, who is an innocent in the whole mess. Blinded by jealousy, Arbenin mixes poison into Nina’s ice cream and, by the evening, she falls gravely ill. Arbenin tells Nina he has poisoned her for being unfaithful to him. In vain, Nina protests her innocence but her words fail to move him; she dies. Too late, Zvezdich arrives to explain to Arbenin that there was no affair; he gives Arbenin a letter from the baroness, confirming that Nina was innocent. Realising he has murdered his beloved wife, Arbenin goes insane. Khachaturian was approached to write the incidental music for a production of the play, which premiered on 21st June 1941 in Moscow. For the waltz, Khachaturian used Nina’s lines as inspiration – “How beautiful the new waltz is… something between sorrow and joy gripped my heart”. He dedicated the waltz to the actress who played Nina, Alla Kazanskaya. Unfortunately, the production was cut short when Germany invaded Russia on 22nd June 1941.